Recognition that it was we who did the dispossessing. We took the traditional lands and smashed the traditional way of life.We brought the diseases. The alcohol. We committed the murders. We took the children from their mothers. We practised discrimination and exclusion. It was our ignorance and our prejudice. 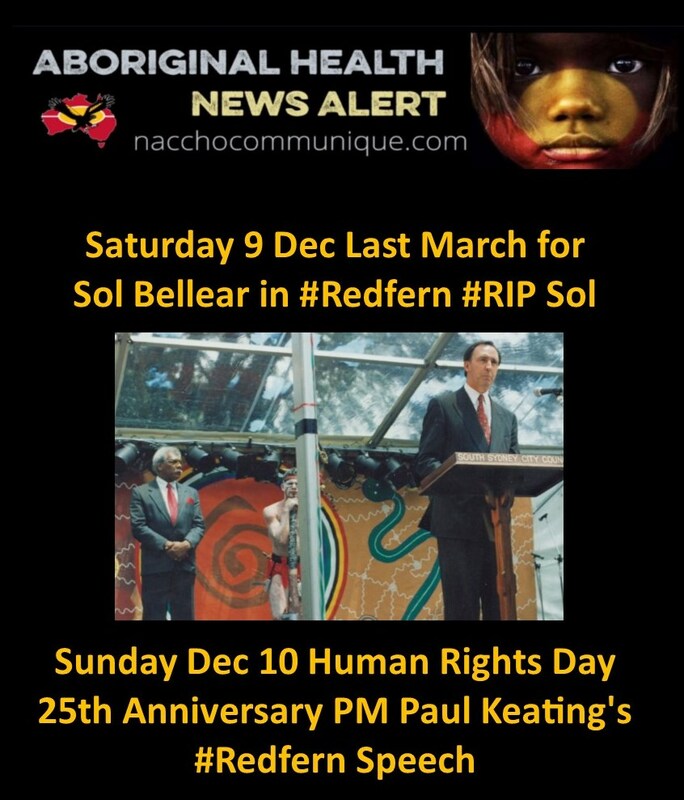 Sunday December the 10th is Human Rights Day, and 25 years since former Prime Minister Paul Keating delivered a landmark speech at the Sydney suburb of Redfern, acknowledging the wrongs done to Australia’s Indigenous people. 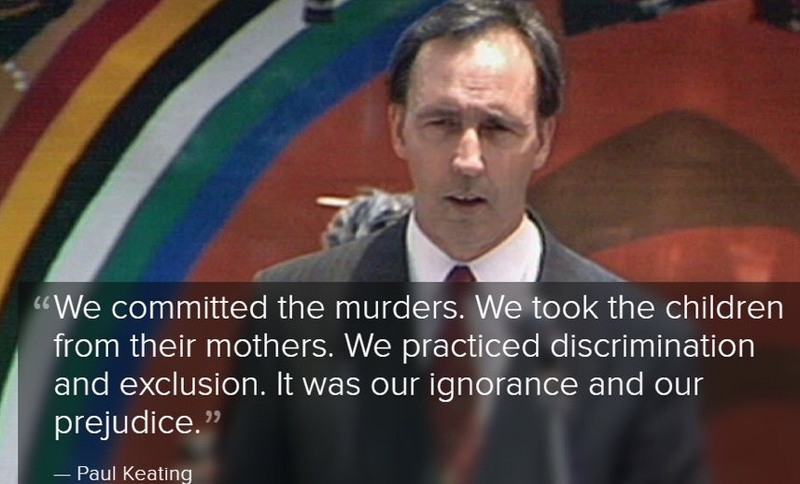 “As Keating started, he was a bit nervous, you know, and you could see the anguish on the faces of non-Aboriginal people … and then the looks on the faces of Aboriginal people as he started to talk about the murders and the oppression. And you could see Aboriginal people in the park saying to each other, yeah – that’s right, that’s it – he’s nailed it’. 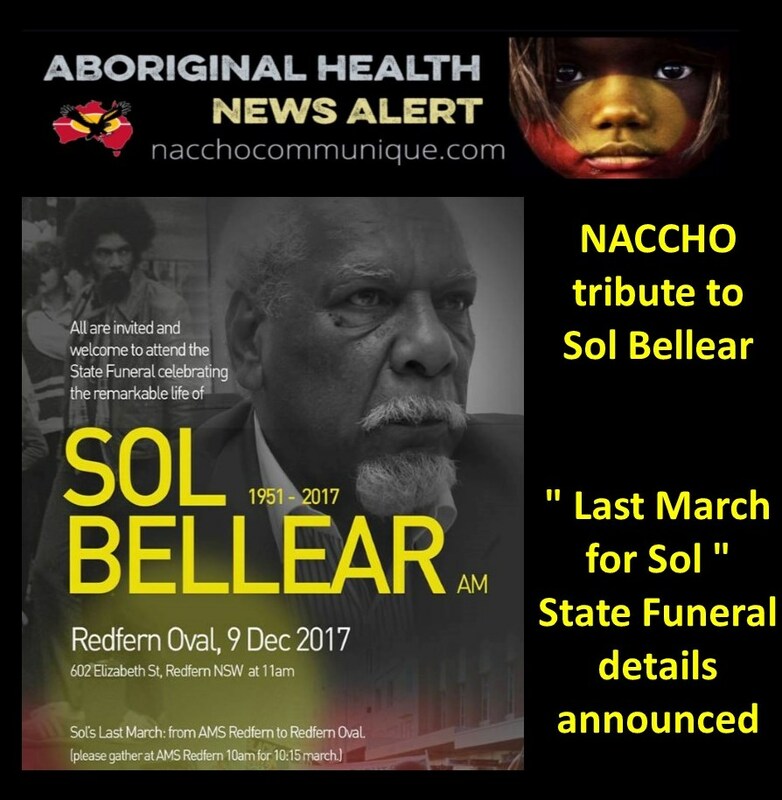 Sol’s family, friends and supporters are invited to gather at Redfern Aboriginal Medical Service on Redfern Street from 10am for a last march to the State Funeral service at Redfern Oval starting at 11am. I am very pleased to be here to day at the launch of Australia’s celebration of the 1993 International Year of the World’s Indigenous People. Because, in truth, we cannot confidently say that we have succeeded as we would like to have succeeded if we have not managed to extend opportunity and care, dignity and hope to the indigenous people of Australia – the Aboriginal and Torres Strait Island people. This is a fundamental test of our social goals and our national will: our ability to say to ourselves and the rest of the world that Australia is a first rate social democracy, that we are what we should be – truly the land of the fair go and the better chance. That is perhaps the point of this Year of the World’s Indigenous People: to bring the dispossessed out of the shadows, to recognise that they are part of us, and that we cannot give indigenous Australians up without giving up many of our own most deeply held values, much of our own identity – and our own humanity. There should be no mistake about this – our success in resolving these issues will have a significant bearing on our standing in the world. However intractable the problems seem, we cannot resign ourselves to failure – any more than we can hide behind the contemporary version of Social Darwinism which says that to reach back for the poor and dispossessed is to risk being dragged down. Didn’t Australia provide opportunity and care for the dispossessed Irish? The poor of Britain? The refugees from war and famine and persecution in the countries of Europe and Asia? 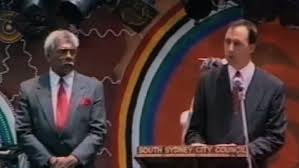 Isn’t it reasonable to say that if we can build a prosperous and remarkably harmonious multicultural society in Australia, surely we can find just solutions to the problems which beset the first Australians – the people to whom the most injustice has been done. The Council’s mission is to forge a new partnership built on justice and equity and an appreciation of the heritage of Australia’s indigenous people. We have to give meaning to “justice” and “equity” – and, as I have said several times this year, we will only give them meaning when we commit ourselves to achieving concrete results. When we see improvement, when we see more dignity, more confidence, more happiness – we will know we are going to win. Mabo is an historic decision – we can make it an historic turning point, the basis of a new relationship between indigenous and non-Aboriginal Australians. We should never forget – they have helped build this nation. 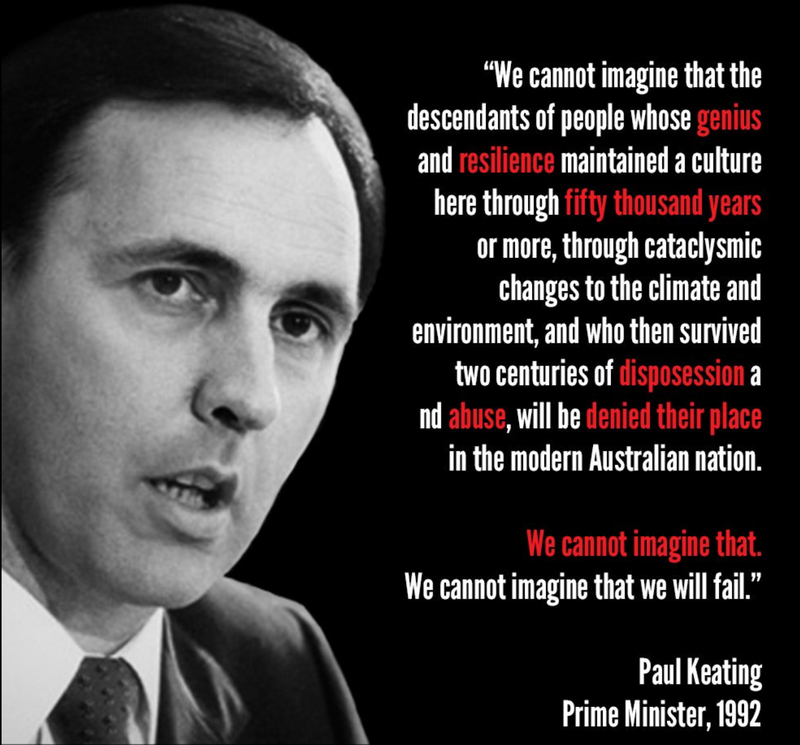 As I said, it might help us if we non-Aboriginal Australians imagined ourselves dispossessed of land we had lived on for fifty thousand years – and then imagined ourselves told that it had never been ours. The establishment of the ATSIC – the Aboriginal and Torres Strait Islander Commission – is also evidence. We are beginning to learn what the indigenous people have known for many thousands of years – how to live with our physical environment. It can’t be too hard. Someone imagined this event today, and it is now a marvellous reality and a great reason for hope. And with the spirit that is here today I am confident that we won’t.